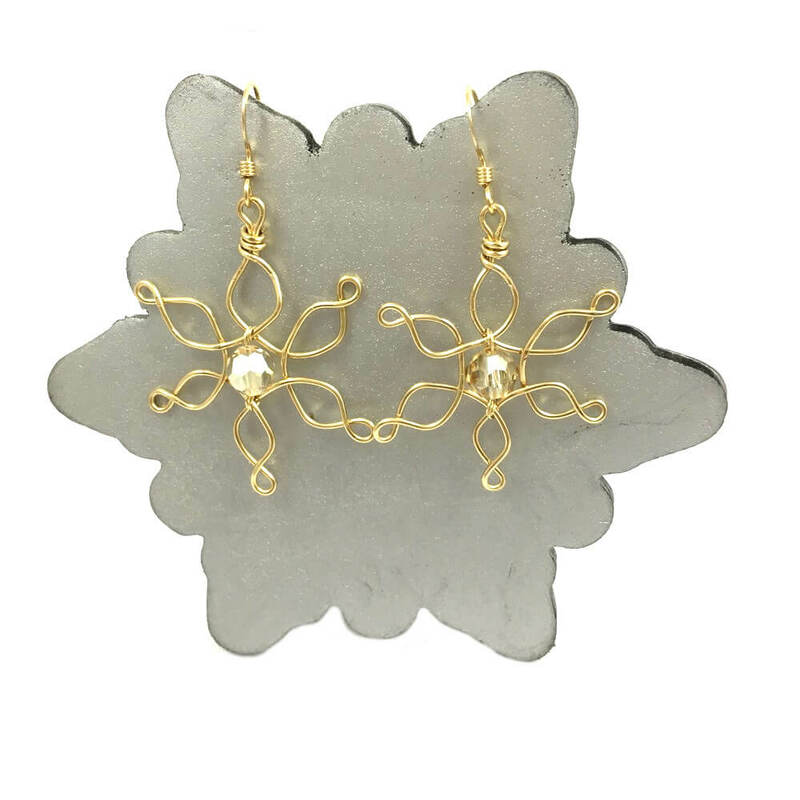 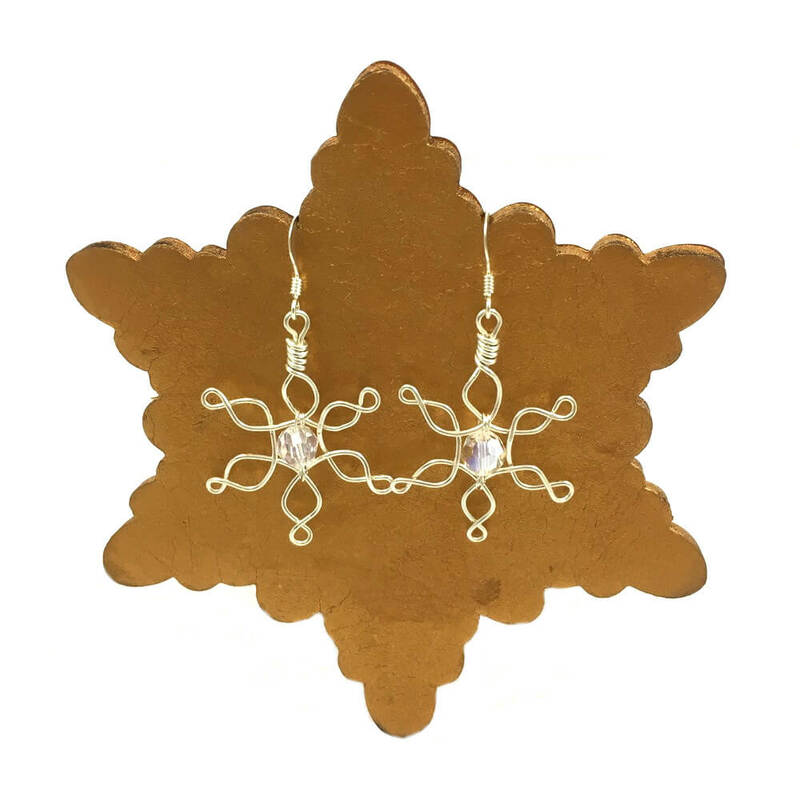 Pretty Rose Gold Snowflake Earrings made from 14 carat rose gold-filled wire and fittings with a sparkling rose Swarovski bead at the centre. 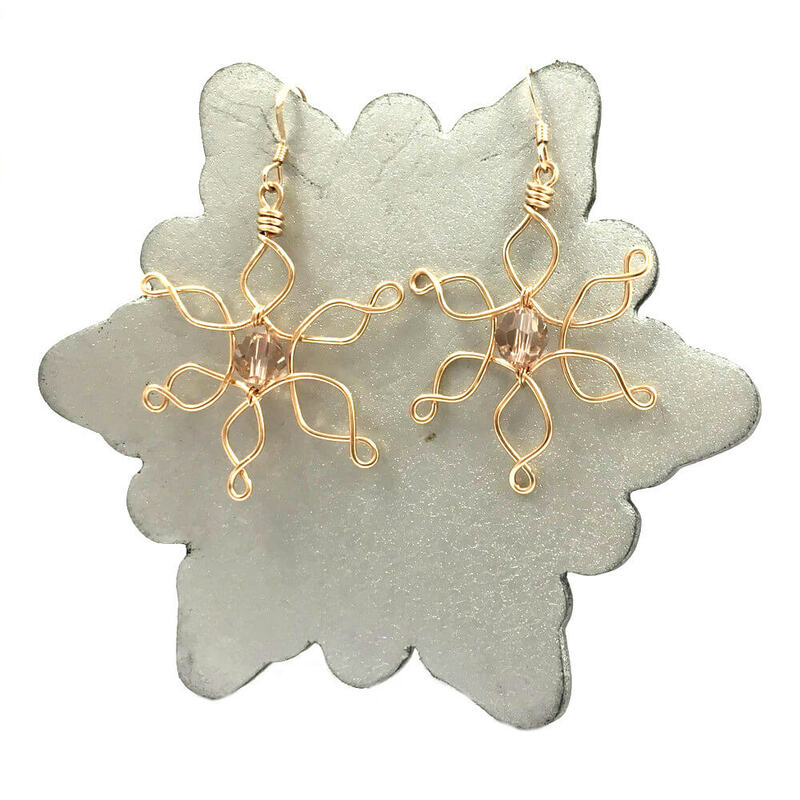 Pretty Rose Gold Snowflake Earrings made from 14 carat rose gold-filled wire and fittings with a sparkling rose Swarovski bead at the centre. 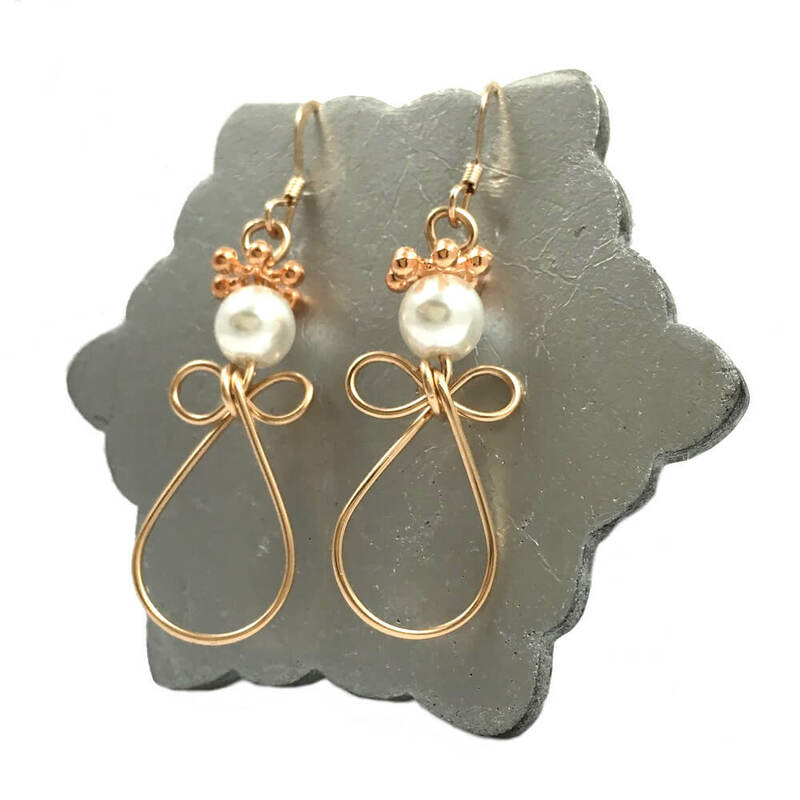 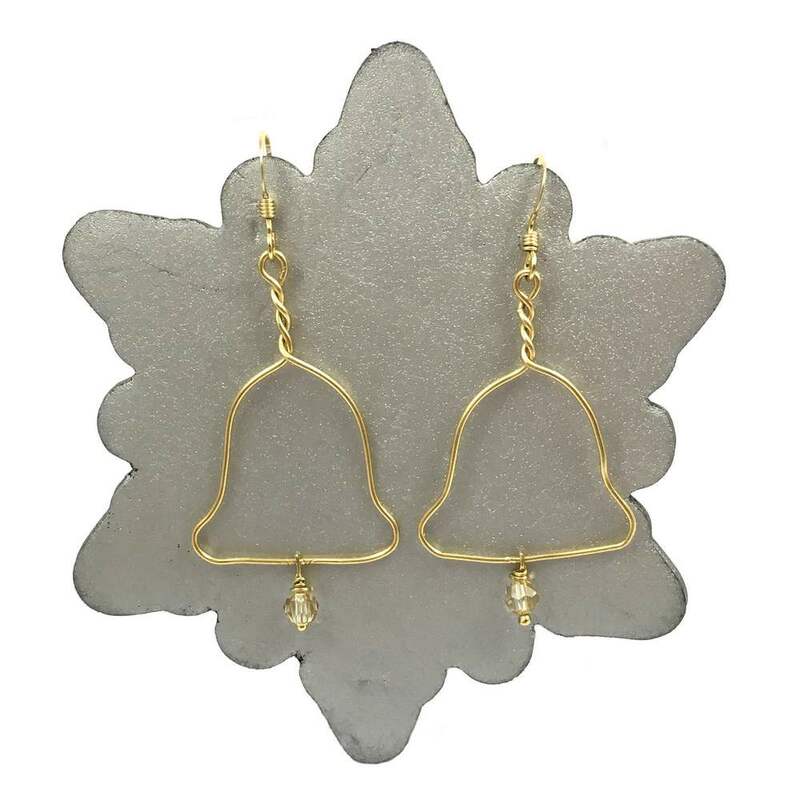 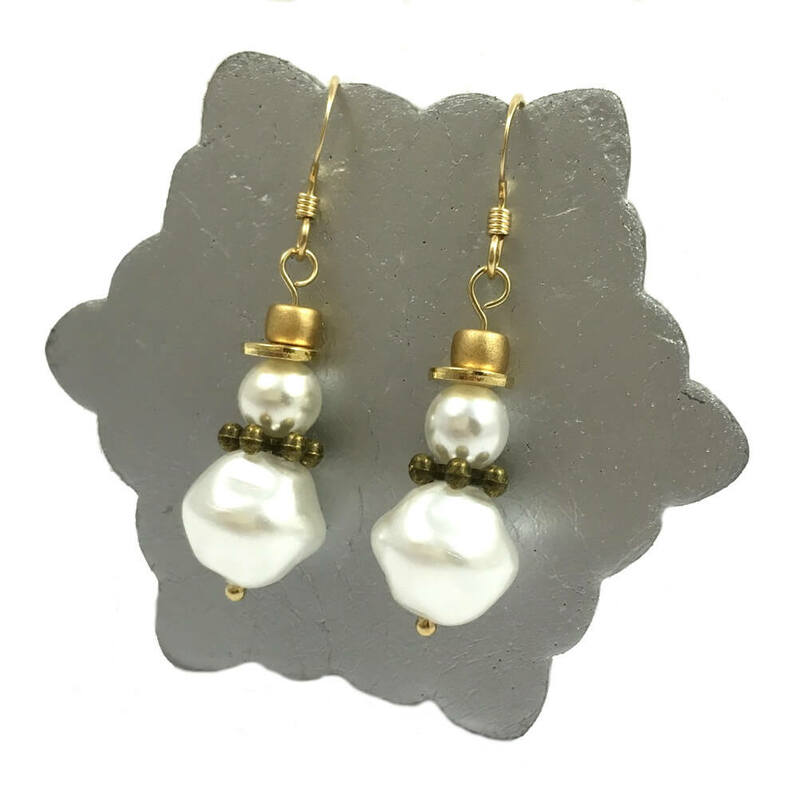 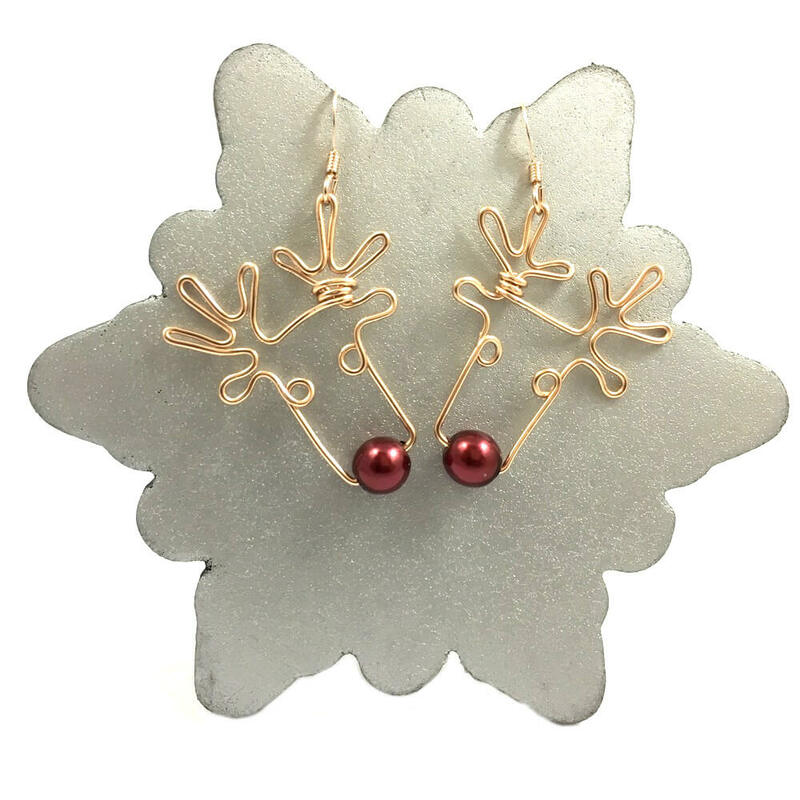 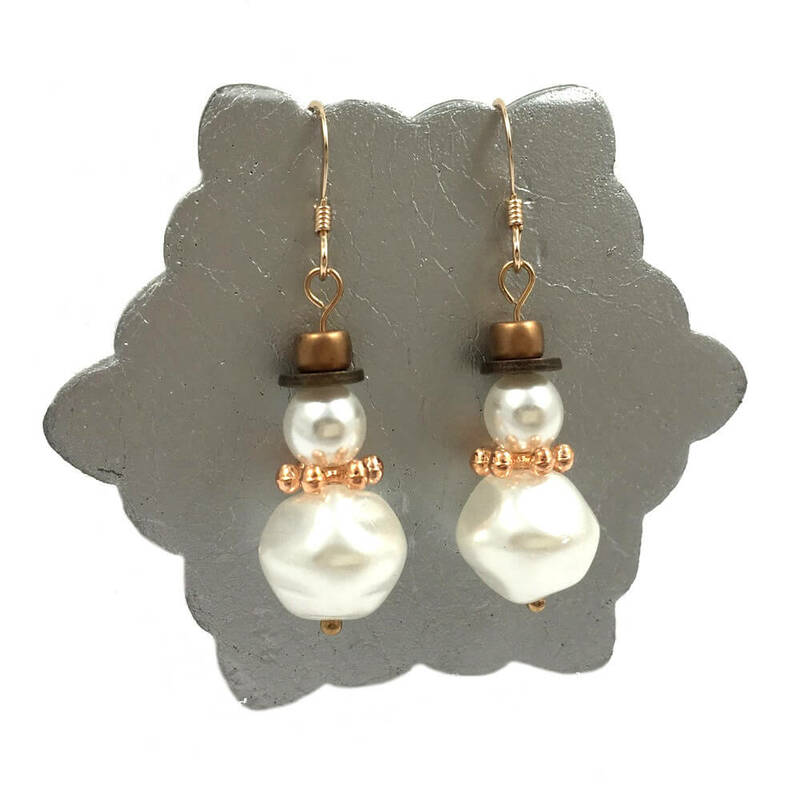 These charming earrings are tastefully festive with a touch of ethereal beauty.